Home › Alternative Medicine › How Healthy are Your Prescription Drugs? How Healthy are Your Prescription Drugs? There have always been different perspectives on the value of prescription drugs. Are pharmaceuticals being overprescribed? Is there adequate research within the pharmaceutical industry? Are physicians encouraged to promote the use of prescription drugs? These are all questions that skeptics have posed over the years. Alternative medicine or Eastern methods have become more and more popular. People are turning to herbs, organic foods and supplements, acupuncture, and chiropractors for relief. Instead of taking antidepressants, for example, a patient may choose to take St. John’s Wart and start a new exercise regimen before resorting to Lexapro. There are many reasons why people are beginning to use caution when taking prescription medication. Everyone has seen those commercials on TV advertising some medicine or another where the list of potential side effects lasts longer than the actual advertisement of the medicine. This has become a joke in our culture; however, there is some truth to it. You might be hesitant to take a medication if the possible side effects include “headache, nausea, vomiting, infertility, or sudden cardio arrest.” It makes even the most mild medicine sound more dangerous. There is also the issue of people misusing prescription drugs. When used incorrectly, pharmaceuticals can be lethal. Every day, 100 people die from overdose of prescription drugs, according to the Centers for Disease Control and Prevention. Keeping prescription drugs off the street and preventing people from misusing pharmaceuticals is becoming a real challenge. 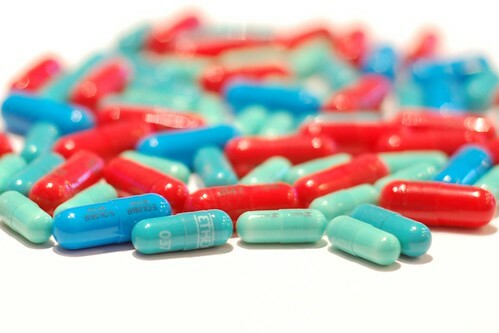 Prescription drugs have also been beneficial in many ways and saved many lives, however, and that cannot be overlooked. Often opponents of prescription drugs do not take into account how pharmaceuticals have helped countless people to live happier, healthier lives. It’s important for physicians and patients alike to exercise caution when prescribing or taking prescription drugs. If you are considering a new drug that you think may be beneficial for you, make sure you talk to your physician about all of the possible side effects and really consider your options before you make a decision. Sara Crawford is a freelance writer from Atlanta, Georgia who is passionate about alternative medicine. Doyle Raizner, Lipitor diabetes lawsuit lawyer, has the expertise and knowledge to help patients who have suffered from the effects of prescription drugs.